Chien-yi [Qian Yi; ca. 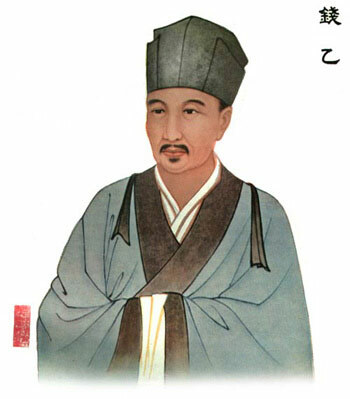 1032-1113 A.D.] - Qian specialized in treatment of children and wrote the famous book Xiaoer Yaozheng Zhijue (Key to Therapeutics of Children's Diseases). This book presented the prescription Rehmannia Six Formula (Liuwei Dihuang Wan), which has become the most widely used yin-nourishing prescription, especially given to the elderly despite its origins as a pediatric formulation.